We are proud to present the recipients of the Sylvan Adams Nefesh B’Nefesh Bonei Zion Prize for 2016. The award recognizes outstanding Anglo Olim – veteran and recent – who encapsulate the spirit of modern-day Zionism by contributing in a significant way towards the State of Israel. 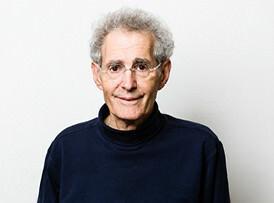 Professor Howard (Chaim) Cedar, a Safra Distinguished Professor at the Department of Developmental Biology & Cancer Research at Hebrew University has made pioneering contributions in the field of genetics. He discovered that, in addition to the genetic “text” inherited from our parents, which contains all of the instructions for making every component of the human body, there is also a system of “annotation” that marks this “text” and represents a further layer of information. This annotation, which is accomplished chemically through DNA methylation, marks genes as being either active or silent and constitutes the cornerstone of human development. Methylation plays a role in many diseases and especially cancer where Prof. Cedar’s discoveries have led to the development of new approaches for diagnosing and treating this disease. DNA methylation also holds the key for understanding how the environment impacts on human behavior. Prof. Cedar made Aliyah in 1973 from the USA. 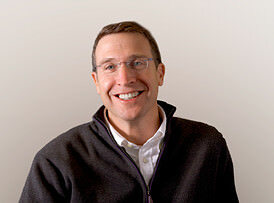 Scott R. Tobin serves as General Partner at Battery Ventures, which he joined in 1997. He leads investments in Israel, the United States, and Europe. Scott has focused on a variety of interests at Battery, including: venture capital and private equity investments in enterprise infrastructure, application software, business services, media and financial services. Scott has been named multiple times to the Forbes Midas List, which ranks top venture capitalists from around the world. In 2008, he relocated to Battery’s Israel office to build the team and to lead the firm’s further expansion into Israel, the Middle East and Europe. He graduated with honors from Brandeis University with a BA in International Relations and Islamic and Middle Eastern Studies. Scott is involved in a number of social-impact initiatives in Israel, on a local community and national level. He proudly serves on the Board of Directors of “Maoz”, an organization identifying and accelerating the impact of Israel’s best and brightest public sector leaders, who collaborate on cross-sectorial solutions to Israel’s most pressing challenges. Scott officially made Aliyah in 2011 from the USA. Dr. Rachel Levmore is the Founder and Director of the Agunah & Get-Refusal Prevention Project of the International Young Israel Movement and the Jewish Agency for Israel. As a rabbinical court advocate, she assists Agunot in Israel and in the Diaspora to free themselves from the chains of unwanted marriage through a dignified process. Dr. Levmore revolutionized Israeli society’s view on women’s halachic personal status by participating in the authorship of the Israeli reciprocal halachic prenuptial “Agreement for Mutual Respect”, thus preventing get-refusal. 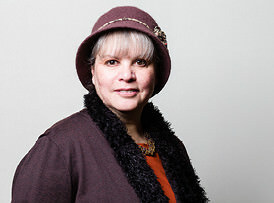 As a ground-breaking halachic scholar and author of the seminal halachic book Min’ee Einayikh Medim’ah on prenuptial agreements, PhD in Talmud & Jewish Law and decades-long social activist, Levmore has worked tirelessly to prevent get-abuse, culminating her efforts as a member of the Israel Commission for the Appointment of Dayanim. By working within Jewish law, Levmore is pulling the state religious establishment into the 21st century in the family law field, thus creating healthy family units – the building blocks of Israeli society. Dr. Levmore made Aliyah in 1976 from the USA. 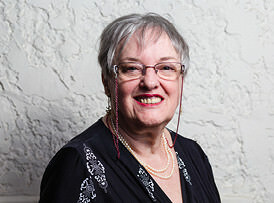 Barbara Levin began, in 1976, as principal of the First Traditional School, where pluralistic Jewish subjects were included in the curriculum for children from both secular and observant families. The school grew from a group of 33 to 300 pupils and served as the prototype for schools that wanted to adopt its unique curriculum. Today, there are 96 schools, 134 nursery classes, and some 35,000 pupils in the TALI educational system. 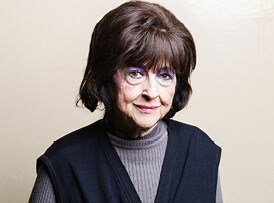 While serving as principal of the Frankel School for 29 years, Barbara also managed to successfully institute a wide range of innovative projects, including Community Theater, a twinning program, the Frankel Center for Jewish Family Education, an initiative to begin teaching English from first grade, and a program that integrated pupils with autism into the school’s classes. Retired in 2005, Levin continues to consult schools and volunteers teaching prayer skills for youth as well as with seniors in her local community. Barbara made Aliyah in 1969 from the USA. Staff Sgt. Sahar Elbaz is a recently released lone soldier from the IDF’s Givati Brigade. During Operation Protective Edge, Sgt. Elbaz and his unit came under attack in Rafah, in the Gaza Strip. Ignoring his commander’s order to take cover, Elbaz returned fire, overcame a jam in his weapon, and eliminated four of the five attacking terrorists. 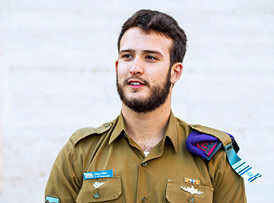 Describing the event, one of his commanders said, “Sahar’s story will be taught at commanders’ courses for many years to come.” Elbaz arrived in Israel, on his own, from the USA four years ago, and immediately joined the Givati Brigade, where he served as a combat soldier in the Rimon unit. Elbaz was one of only five soldiers to receive the chief of staff’s citation in Operation Protective Edge, which was bestowed upon him for his bravery, resourcefulness and fortitude. Sahar made Aliyah in 2012 from the USA. Estelle Friedman, began her long journey in educational television in 1968, as a screenwriter and TV teacher for the English teaching TV series “More About English.” Soon after, she was appointed producer of the English Department and produced over 500 episodes teaching English on TV. Her success opened the door to becoming Director of Production at Israel Educational TV, where she worked producing programs that became an integral part of Israeli culture. Many generations have acquired the basics of the English, Hebrew and Arabic languages, and basic concepts of Judaism, thanks to the innovation and accessibility Estelle brought to educational programming. She has touched the lives of millions of young people and adults, and contributed to the education of Israelis as well as the creation of a culture of values of Israeli society. Estelle’s work was born out of a Zionist sense of duty to provide new skills and learning tools for students in Israel. Estelle made Aliyah in 1964 from the USA. 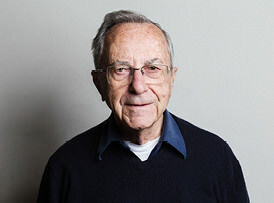 Moshe Arens entered the political arena in 1973, when he was elected to the Knesset on the Likud party list. He served as Foreign Minister, Defense Minister, and as the Israeli Ambassador to the USA. The author of two books, Arens currently writes a column for Haaretz Newspaper and serves as Chairman of the Board of Governors of Ariel University in Samaria. He enlisted in 1944 for two years in the U.S. army’s Engineers Corps and then completed a B.Sc. in Mechanical Engineering from MIT. He managed various aircraft and missile development projects, for which he was awarded the Israel Defense Prize in 1971. Arens has been Chairman of Teuza, a venture capital firm. He is the author of two books: Broken Covenant, published in 1995 by Simon and Schuster and by Yediot Sfarim in Hebrew, and Flags Over the Warsaw Ghetto, published in 2011 by Gefen Publishing House; it has also been published in Hebrew and Polish. Moshe made Aliyah in 1948 from the USA.